Homeboy Industries’s motto represents their tireless effort in creating better lives for people released from prison by providing them employment and a nurturing community. 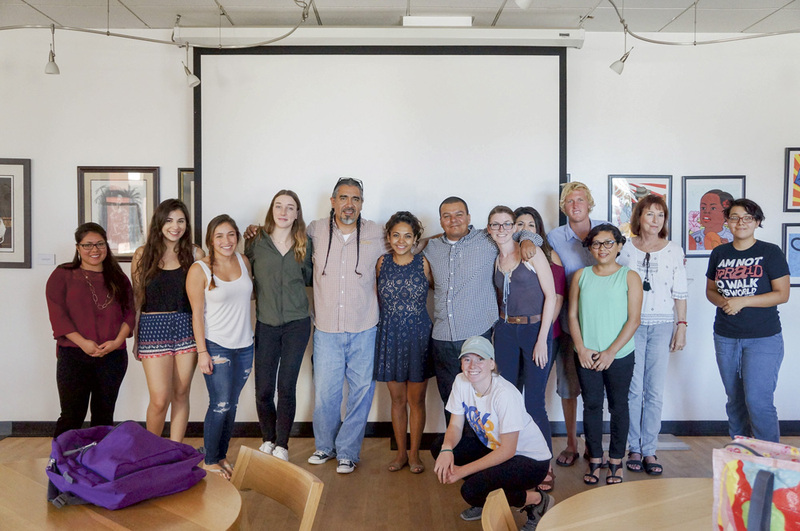 Hector Verdugo, the Associate Executive Director for Homeboy Industries, led a workshop at UCSB’s MultiCultural Center on Friday on the importance of resilience for overcoming struggles, especially those we can’t control. Father Gregory Boyle, the founder and executive director of Homeboy, has been a major figure in gang prevention for the last 30 years. His first social enterprise, Homeboy Bakery, began after the 1992 L.A. riots, cooperating with Proyecto Pastoral to train otherwise jobless members of the housing projects. This workforce development of Homeboy Industries has grown far beyond creating employment opportunities for recently rehabilitated citizens to fostering a community that serves as a safe haven in underprivileged areas. “The therapeutic community surrounding Homeboy Industries is what persists as the largest factor in preventing further gang affiliation,” Verdugo explained in his presentation. Verdugo shared his story of growing up in the housing projects, where it becomes easy to give into opportunities due to the collective identity of the community. To Verdugo and his neighborhood friends, entering the prison system didn’t seem to be much of a punishment, but rather an expectation. “We used to scrap, or fight, each other to prepare for juvenile hall,” Verdugo recalled. After constant involvement with the gang lifestyle, many people in neighborhoods such as Ramona Gardens in Boyle Heights get passed through the state penitentiary system and are generally stamped with a negative reputation. However, agencies like Homeboy Industries know that each person is more than the worst thing they’ve done. Like Verdugo, everyone that walks out of prison and into Homeboy Industries has a story, often masked by a neighborhood affiliation and identity. In preventing the return to a gang community and the violence that often accompanies it, Homeboy Industries provides ex-convicts with the outlets to transmit pain in a self-fulfilling way. Homeboy Industries provides much more than just a job. From legal and mental health services to skill training and an education, they instill the quality of resilience in the men and women. “It’s the healing inside that really makes a strong, healthy and successful individual,” Verdugo explained as the crucial aspect of Homeboy’s efforts. Just like his model, Malcolm X, Verdugo, due to the help received from Homeboy and an immense personal effort, has turned his life around since being heavily involved in the drug dealing and gang violence that is ever-present in urban communities around the world. Verdugo spoke from the heart when he explained the role of resilience and acceptance that, with the help of Homeboy’s involvement, got the fire out of him, and him out of the gang-affiliated lifestyle. He, like every other member of Homeboy Industries, has learned that no matter what, he will strive to be the best he can be.